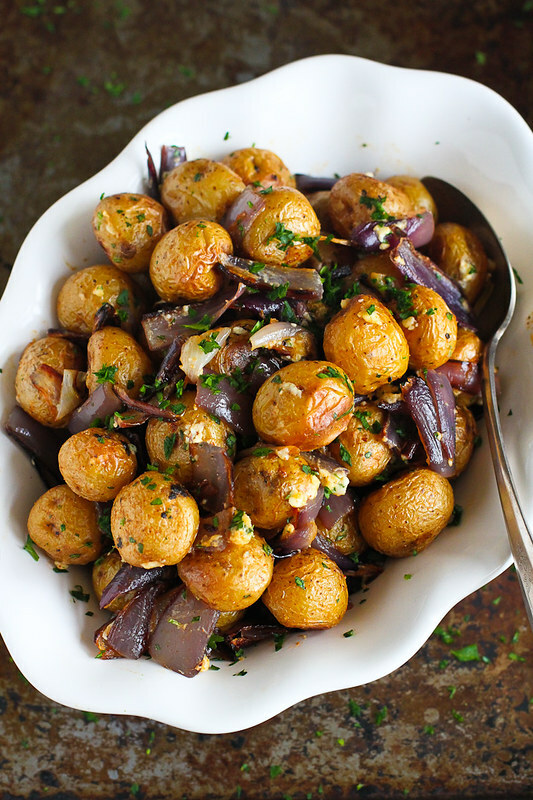 This roasted potato recipe is made practically addictive by adding roasted onions, smoked paprika and creamy blue cheese. 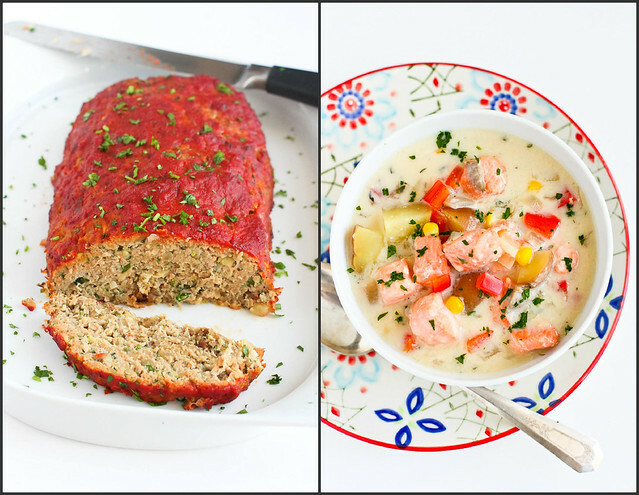 135 calories and 4 Weight Watchers Freestyle SP. Thank you to the Little Potato Co. for helping me share this recipe with you. I’ve never been able to explain my kids’ food preferences. They will both eat sushi, octopus, buffalo and almost every vegetable, but my eldest son (M) gags when he eats mashed potatoes and younger son (T) wants nothing to do with any kind of cereal. I can’t explain it! Our extended family has done everything they can think of to convince M of the redeeming features of mashed potatoes. They soak them in gravy, add extra butter, mix in cheese – all to no avail! He will even jump in my in-laws’ freezing cold pool in November to avoid eating mashed potatoes at Thanksgiving (a dare from his uncle). For a long time, M’s disdain for mashed potatoes crossed over to almost every other preparation of potatoes, except for French fries. That is, until I started making roasted potatoes and calling them “oven fries”. It’s all in the name! Now he eats several helpings of roasted potatoes each time I serve them. Go figure. 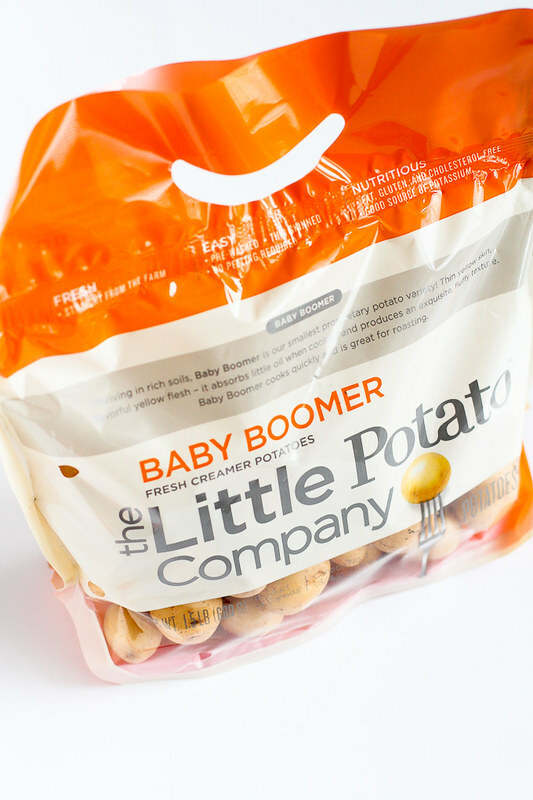 Now when I bring home packages of the Little Potato Co.’s Creamer potatoes, M actually gets excited. “Oven fries tonight, Mum?” I’ve also regaled him with all of the health benefits of Creamer potatoes, such as their hefty dose of potassium and other vitamins and minerals. He’s one of the most health-conscious kids I know, so the health benefits are a huge selling point! This scrumptious side dish is very easy to pull off. The Creamer potatoes are the perfect size for roasting – no peeling or cutting required. Just toss them with olive oil, smoked paprika, red onion wedges, salt and pepper before roasting. Once they’re tender and starting to brown, take them out of the oven and toss with parsley and creamy blue cheese. The perfect side dish! Preheat oven to 400 degrees F. Lightly coat two baking sheets with cooking spray. 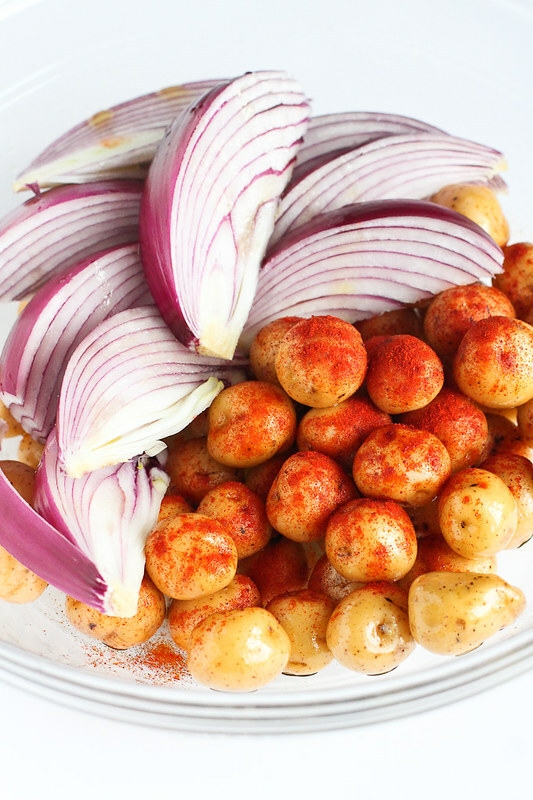 In a large bowl, combine the potatoes, 2 tablespoons of olive oil, smoked paprika, salt and pepper. Toss to coat the potatoes. Add the onion wedges and the remaining 1 tablespoon of olive oil. Gently toss to coat. Cut each onion wedge into 3 pieces. Disclosure: This post is sponsored by the Little Potato Co. All opinions are my own. This post contains links to my Amazon affiliate page. Any revenue made from sales through these links helps to support this blog. Thank you! I’m totally with your son on the mashed potatoes, but these little cuties I can totally get into. I love the blue cheese for the big hit of flavor too! I LOVE roasted potatoes! The blue cheese sounds like the perfect addition! Thank you Dara. These potatoes sound good to me. My kids love baby potatoes! I need to try them with blue cheese – that sounds crazy good! You can never figure out kids and what they will eat, defies all logic! 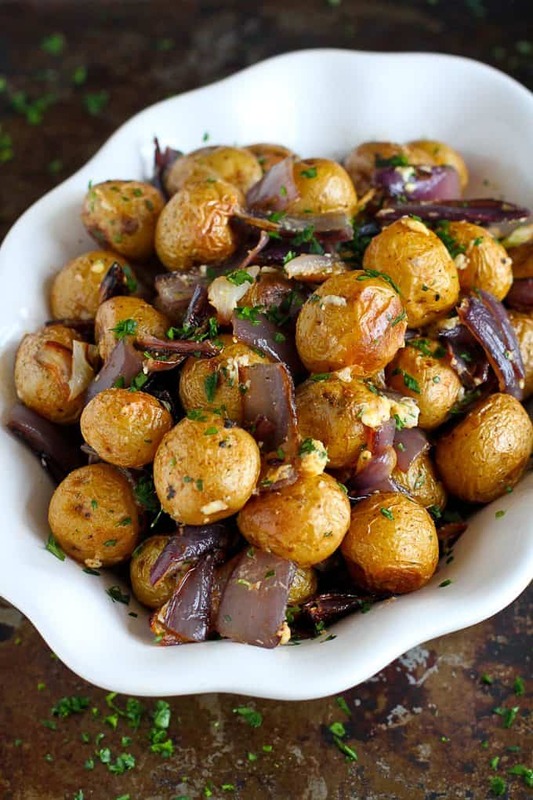 I love these roasted potatoes with the onions. My son likes his potatoes crispy (but will eat mashed potatoes with gravy, only if they are from a box) so he would love these! Those might be the most perfect potatoes I’ve ever seen! Ha! That’s funny that sushi and octopus are fine but cereal is not, sounds like they have very refined palates! Oh, I LOVE this!! I’d love a big bowl of these right now. Those potatoes remind me of the kinds I had in England and Germany and miss so much. Will definitely have to look into the Little Potato Co., thanks! I love the flavor combination in this dish! It’s the perfect side dish! Gorgeous photos! These look amazing. My little guy is the same way about potatoes. I’ll have to try these! And if nothing else, that just means more for me. The blue cheese and smoked paprika are outstanding additions. While I do enjoy a good mashed potato, give me crispy roasted ones any day over them, so I’m gonna have to agree with your son 🙂 These look absolutely killer. I can taste them through the screen! So true Dara, it’s all in the name! There are no sweet potatoes and pumpkins inside our house, we call it mashed carrots. I’ll try to apply this persuasion concept even more in the future. Thanks for reminding me how important it is, especially when having kids who don’t like to see anything green on table. Also I love the idea of selling the food by talking about the health benefits. Couple of months back my 6-year old son started to drink smoothies just by believing he could be so strong to be able to do 100 push-ups.